KABUL, Afghanistan (AP) — A string of bombs exploded near a Shiite shrine and cemetery in the Afghan capital on Thursday as people gathered to mark Nowruz, the Persian new year, leaving six people dead and as many as 20 wounded, Afghan officials said. The police’s initial investigation indicated that three explosive devices had been remotely detonated, according to Interior Ministry spokesman Nasrat Rahimi. No group immediately claimed responsibility for the bombing, but a local Islamic State affiliate has repeatedly targeted the country’s minority Shiite Muslims. The Sunni militant group considers Shiite Muslims to be apostates deserving of death. 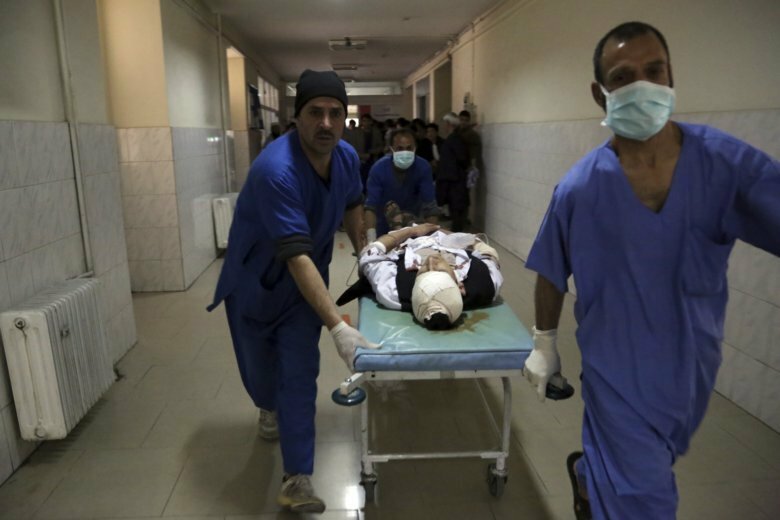 Kabul’s Emergency Services director Mohammad Asim said two children were among the wounded in the blasts. The extent of their injuries was not immediately known. Shiite worshippers had gathered at the Karti Sakhi shrine in a mainly Shiite neighborhood of Kabul when the blasts rang out. The tradition at the shrine is to hoist green flags and honor the dead at the cemetery by placing food at the gravesides. A Shiite cleric, Mir Hussain Shah Naseri, said he had planned to go to the shrine with his children to visit the grave of his wife, who died seven months ago, but because of the attack he stayed home. Nowruz, usually a festive occasion, was a somber following the explosions, he said. Wary Afghans had been warned by authorities of violence ahead of the Nowruz celebrations. The holiday, dating back to at least 1700 B.C. and incorporating ancient Zoroastrian traditions, is the most important event in the Iranian calendar and is widely celebrated across the territories of the old Persian empire, from the Middle East to Central Asia.